Ħamrun Spartans, Balzan cancelled each other out in a drab encounter. 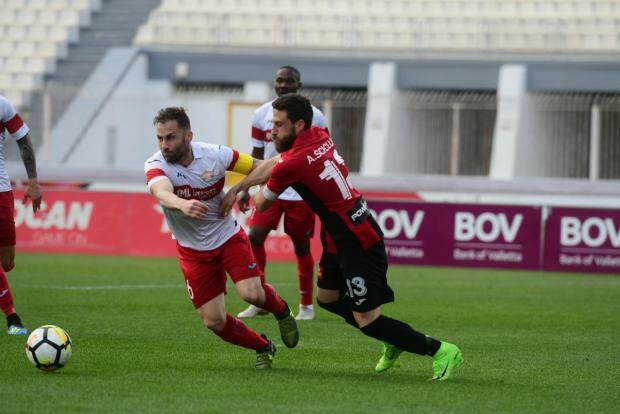 The sharing of spoils was the natural outcome of a duel which never really lifted off in terms of enterprising fare and goalmouth action as Balzan and Ħamrun had to settle for a point apiece after sharing two goals. Balzan found themselves in arrears as Ħamrun made a stronger start after the interval. On 53 minutes, Kevin Tulimieri’s calibrated cross exposed Balzan’s marking weaknesses. Wilfred Domoraud dashed in to to head the ball beautifully behind Sean Mintoff. Suddenly, however, Balzan equalised. A corner from the right by Ricardo Correa had the ball taking a slight deflection towards the unmarked Valero Elkin Serrano whose well-placed header beat Emmanuel Bartolo all the way. Ricardo Correa of Balzan was named BOV Player of the Match.